Coalbed Methane is methane and other gases formed during the coalification process. 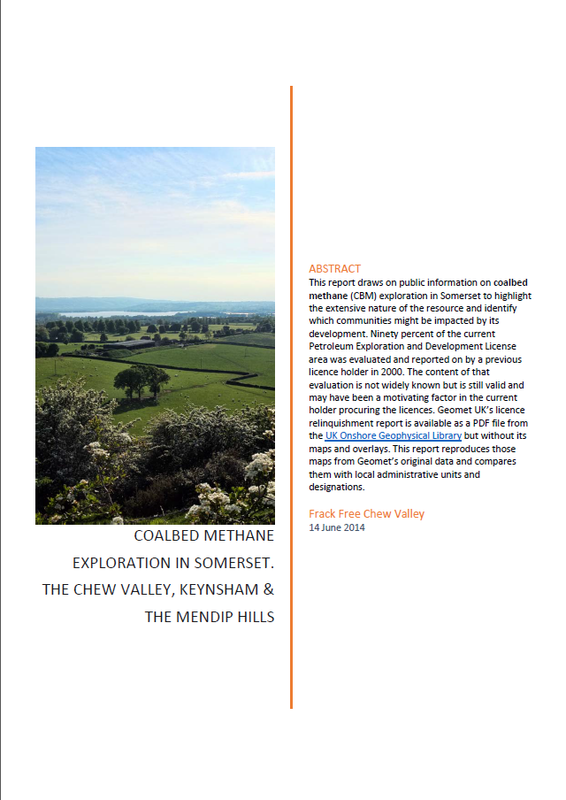 In the Chew Valley coal was laid down as organic matter about 300 million years ago. Since then gases have been formed and held in the micro pores on the surface and within the coal structure. Undisturbed it will generally just stay just where it is, as it has for millions of years. 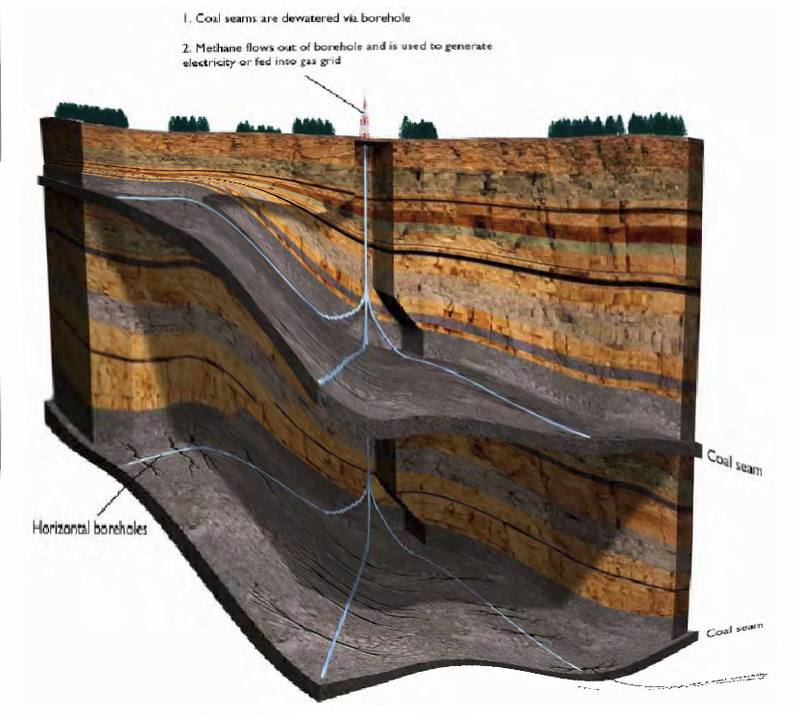 Coalbed Methane is extracted by drilling vertically to the coal strata and then horizontally into the seam, or seams. Methane gas can be mobilised by reduing pressure by extracting water from the coal seam by pumping and if necessary by hydraulic fracturing. 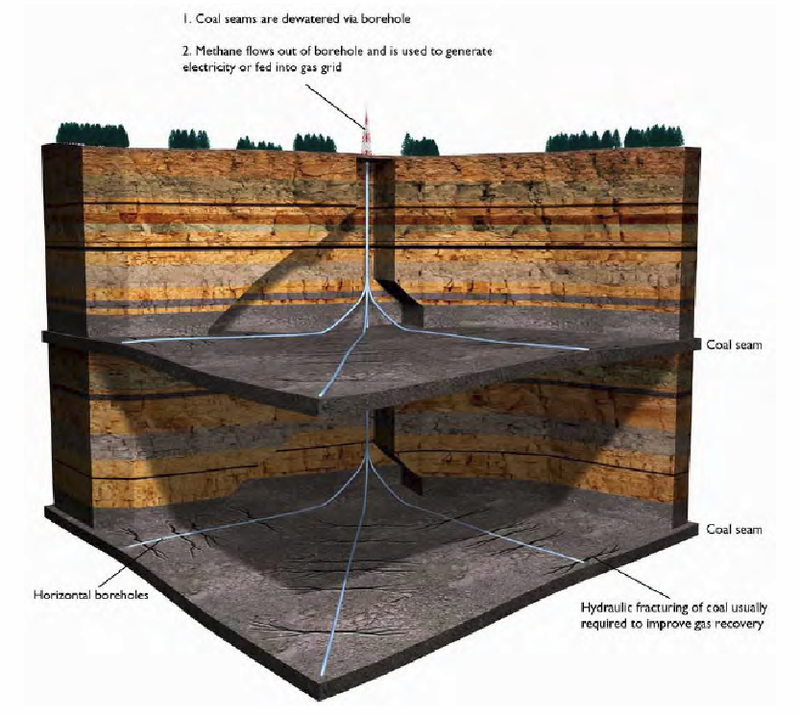 There are numerous environmental concerns relating to Coalbed Methane and shale gas extraction. In Somerset the coal seams are not nice and horizontal but are contorted and deformed into complex structures. The coal acts as reservoir for the gas, which is bound to the coal surface throughout its structure. The gas is liberated by reducing pressure in the coal seam by pumping out water. 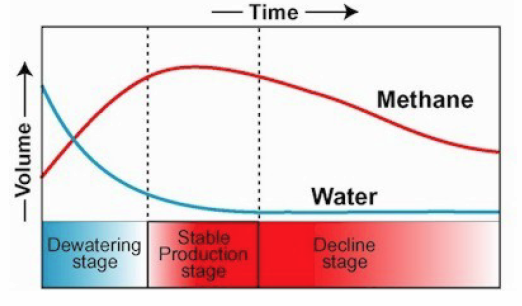 As water is extracted gas desorbtion increases and then tails off with time, as shown below. The large quantities of water extracted from the coalbed is generally saline and needs to be disposed of responsibly.